With the hype of the New England Governors/Eastern Canadian Premiers (NEG/ECP) Conference winding down, it is easy to forget about our regional work until the following year rolls around and a new set of goals are created. But what happens after the conference and how are resolutions and reports implemented? This past week I attended the Northeastern Transportation and Wildlife Conference (NETWC) in Massachusetts where the NEG/ECP Ecological Connectivity Working Group and I organized a workshop to address the objectives within Resolution 40-3. 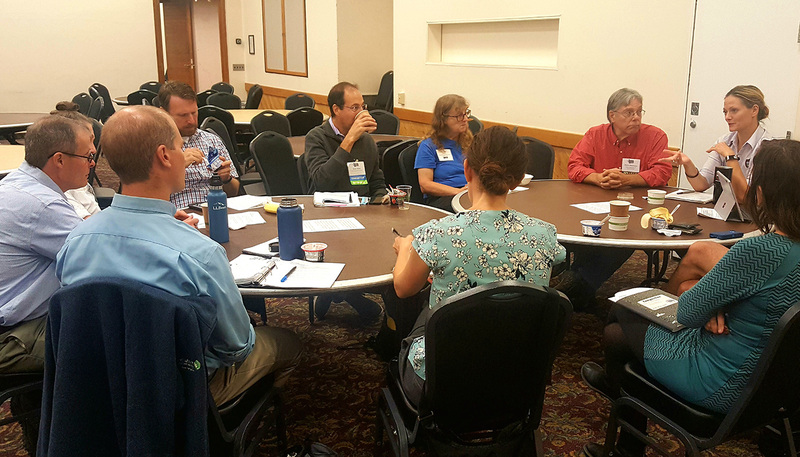 With a full room, participants from NGO’s and government officials from both transportation and conservation departments, came together to discuss the potential partnerships to develop the best practices to incorporate ecological connectivity in transportation design, planning, and development. 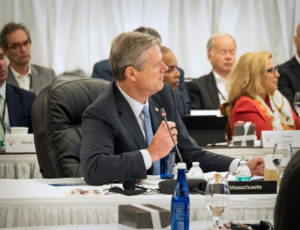 The Ecological Connectivity Group has set out seven goals to address Resolution 40-3, but this week we focused on the transportation sector. From this workshop the working group obtained new ideas about effective connectivity implementation within the transportation sector and had the opportunity to educate the public on NEG/ECP efforts. While the majority of participants were aware of the group itself, connections were made, the seed for future collaborations were sowed, and those outside of the New England territory gained inspiration from the work of the Ecological Connectivity group. At the workshop, a participant from North Carolina was amazed at the work and progress of our region. She was excited to hear of the report being finalized by 2020 and noted that she will be using our research and efforts to lay out a similar plan within her territory. I was also pleased to hear the resolution has been a catalyst for many states and provinces in order to get funding for ecological connectivity efforts; including Nova Scotia that pointed to Resolution 40-3 in order to award a $10,000 contract with a researcher from Dalhousie University to assist in a conference that will address the resolution itself. More information will become available on this upcoming conference that is set for the spring of 2019. It is always an awarding experience to see the full potential of a resolution and regional collaboration at work. Resolution 40-3 is just one of the six active resolutions and regional efforts underway. I have full confidence that before the 2020 deadline for Resolution 40-3, that the working group will have made some amazing strides to keep our conservation lands protected and determine how our region will address ecological connectivity for the future.